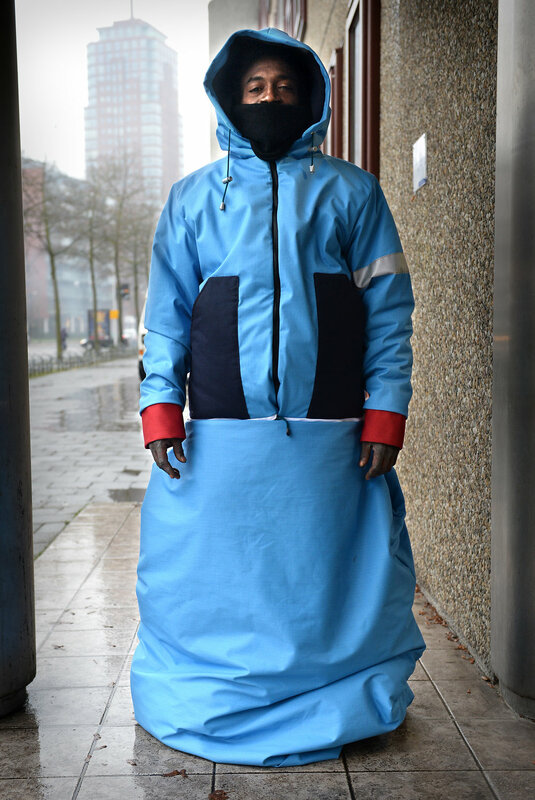 Sheltersuit // The Sheltersuit is a water- and windproof coat that can easily be transformed into a sleeping bag, providing full-body protection. It is made from high-quality materials to ensure extreme durability. All of the materials are upcycled, as they are donated leftover products from textiles companies. Not only is every Sheltersuit sustainably sourced, but also ethically made as they are all produced in our own social workshop. Many of our workers are refugees, ex-homeless people or people with distance to the employment market. In our social workshop, we encourage people to socialize with others in society, breaking any social barriers and segregation. The different cultural backgrounds of the team members create the most unique dynamics. Aside from social interaction, Sheltersuit also offers help to reach personal goals, such as learning the Dutch language. At Sheltersuit, everyone is welcome. People Helping People. Sheltersuit // When the father of a close friend died in the streets of hypothermia, Bas Timmer had the urge to make a change. He felt that no one should have to face such a horrendous fate. 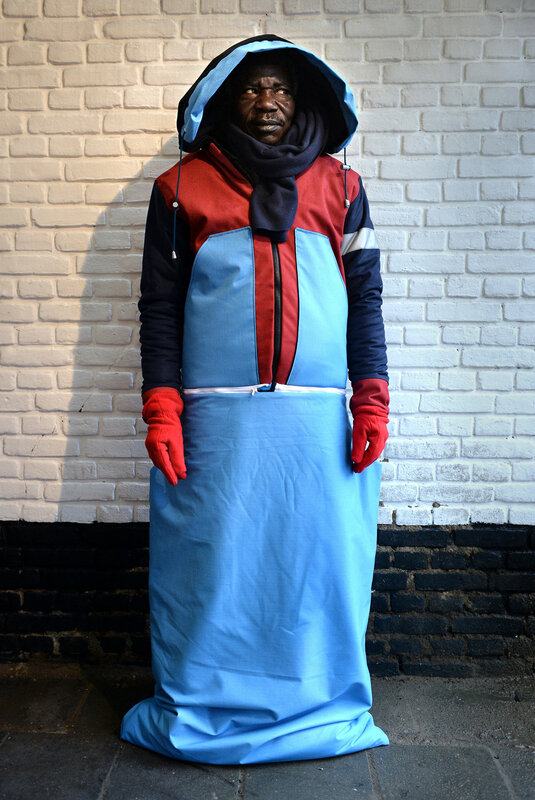 To protect more homeless people from the cold, he designed the first Sheltersuit. We believe in the power of collaboration. We want to live in a world where no one is left alone, where everyone has access to a safe haven and new life opportunities. Do you share the same ideals? Get involved, and help us to spread more warmth and shelter!